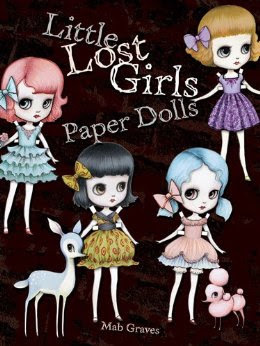 These adorable big-eyed paper dolls are due to be published November 20, 2013. The dolls are by artist and illustrator Mab Graves. They'll feature ruffly dresses and wide-eyed pets.